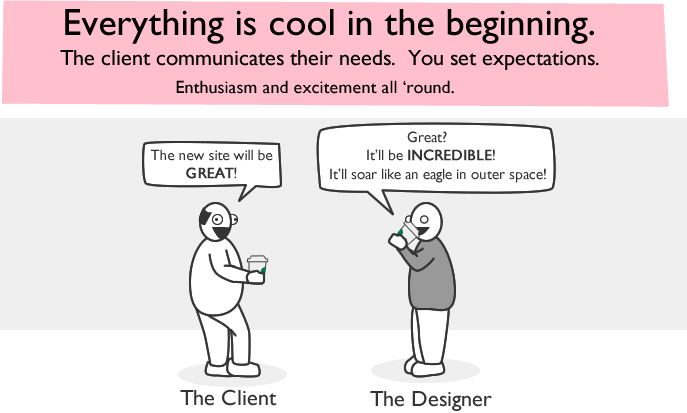 Just discovered this while I was looking for material to add to the page on designing a presentation. And it is one of the neatest things I have come across in a long time: Prezi! This is an online presentation platform with which you can make zoomable presentations where you can zoom into and out of your input material with your mouse wheel. The whole canvas may rotate to zoom into the element that you click on (depending upon the angle at which it was placed), giving you really great screen animations as you wander around. And furthermore, all this can also be viewed as fullscreen. Although they still work beautifully even with PS CS5 the VM plugins are kind of hard to come by these days. I have therefore decided to share mine, available from here. These are PC only, as far as I know there never were any made for Mac. Simply unzip and put in the plugins directory of photoshop. There are a lot of these and unfortunately most of them do not really do what they say they will do. Basically, what is needed is an intuitive interface with highly customizable start-out templates – customizable to the extent where your site looks “yours”, that is. And – of course, they have to have a completely free plan with an option to upgrade so that you can freely experiment. I have checked out some of what is out there and two of them really seem to deliver the goods: Weebly lets you create blogs as well as websites. They have a very beautiful template gallery from which you can start out and then everything works with a simple drag and drop interface which lets you add pretty much all that you could wish for. The second one Yola works in a similar way, also very easy to use and versatile. Both of the above will give you html/css sites. Should you wish to do a flash site however, then of course Wix is absolutely unbeatable. And incidentally, while I was looking around I also came across these: Very nice seem to be an online, completely free video editor called JayCut and an online presentation platform called SlideRocket. Comments Off on wix wix wix! This is truly superb, and those who do not yet know of wix, better rush over there and get started right now! This is an online flash site creator that lets you build either from scratch, or by modifying a very large collection of freely available templates. The entire setup is intuitive – no need to code, no actionscript anywhere in evidence – all you do is drag and drop components, add text, images, clip art, and off you go! Furthermore, the wix people let you publish your efforts for free under their own domain. Should you wish for your own site, and/or various other goodies such as google analytics then they have a very reasonable plan for you to upgrade as well. In the free version wix puts very small ads underneath your page and the upgrade eliminates those also. However, no sweat with regards to the ads anyway – they did not bother me in the slightest, they are that well placed and unobtrusive. I created the 3 pages above (please click thumbnails to access) with wix. The first 2 were created through modifying pre-existent templates, the third one I did from scratch. All the images I used come from the wix library, which is surprisingly well stocked with really nice images and clip art. The first one I made took a few hours since I was also snooping around in the library, trying out all kinds of things. The two others happened in less that an hour each! That is how easy and user friendly this is! I am wondering whether wix might not be used for educational purposes also. As in teaching a web design course which totally eliminates the irksome need to learn the underlying code of a flash site. After dealing with a variety of students from different classes such as Project Studio, Web Design and Interaction Design last week, I took some time to put together an introductory practical guide to typography. Since I had a wide target audience in mind, you will see some very basic topics that you already know. But I hope you will also learn some new things. Please have a look and bookmark it for cases of emergency. Any kind of feedback is welcome, of course. 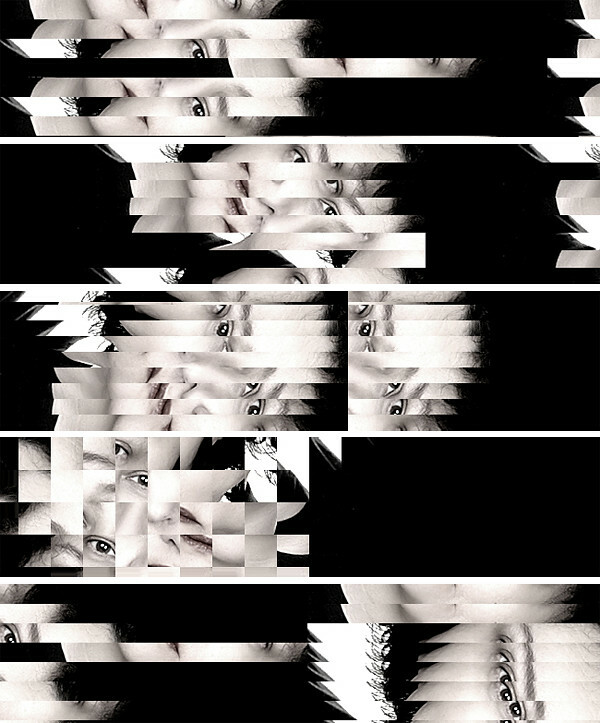 A wonderful collection of posters, with a great interface. Added to the Recommended Sites section. Mostly, designers get paid to negotiate the difficult terrain of individual egos, expectations, tastes, and aspirations of various individuals in an organization or corporation, against business needs, and constraints of the marketplace. This is a process that can take a year or more. Getting a large, diverse group of people to agree on a single new methodology for all of their corporate communications means the designer has to be a strategist, psychiatrist, diplomat, showman, and even a Svengali. Excellent (and free! 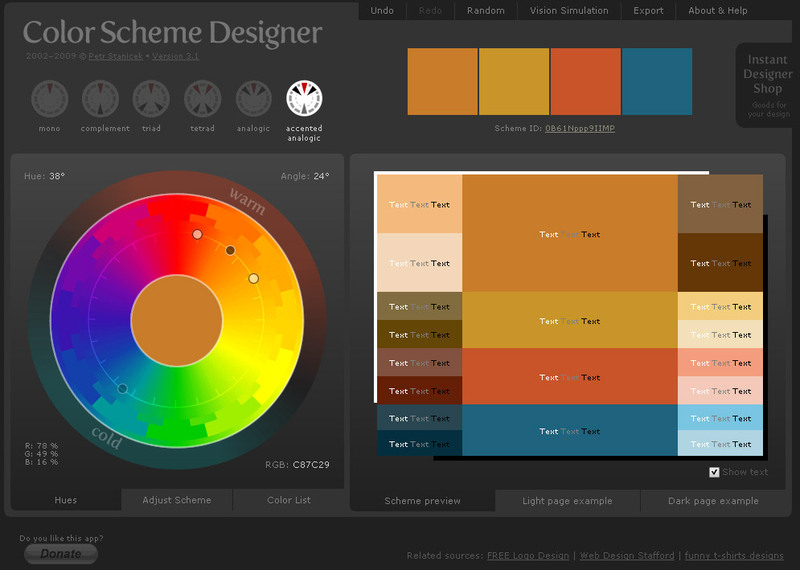 ), online color picker which lets you pick a color theme based upon various parameters and even shows you light and dark versions of a dummy web page. There are many tabs which let you adjust tonal values, lightness, saturation etc. Also on the top you will see little wheels which operate based upon various color contrast schemes. Tip: The further you go right with these wheels the nicer your color scheme is likely to be. Analogic usually works better than Complementary – especially for beginners! 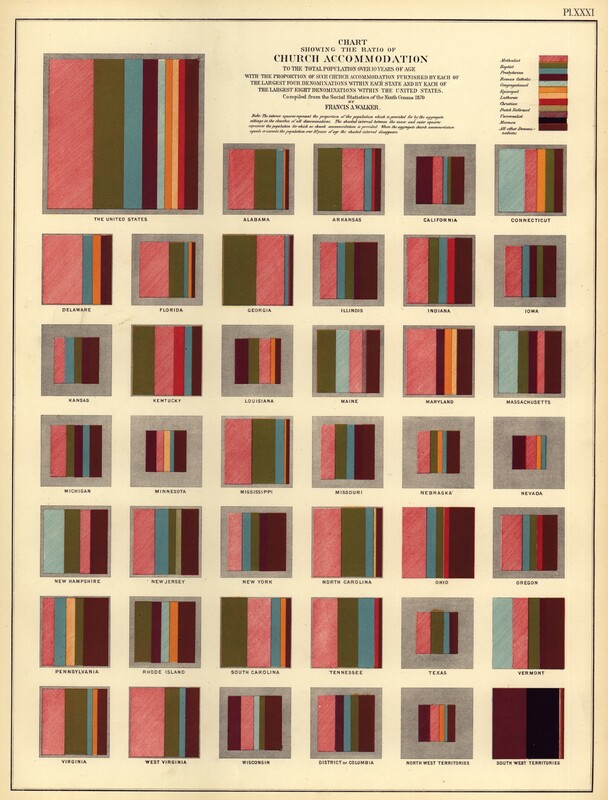 I stumbled upon some interesting data visualization from 1874. The data might be controversial but still, you may want to take a look. It gets interesting after 30.th screen shot. I recommend everybody to explore and bookmark this on-line companion to the book Thinking with Type: A Critical Guide for Designers, Writers, Editors, & Students, by Ellen Lupton. It will prove quite useful for both VA234 and VA302 students (you might want to check the GRID section for this week’s assignment, for example). We’re done with the tired old fontstacks of yesteryear. Enough with the limitations of the web, we won’t have it. It’s time to raise our standards. Here, you’ll find only the most well-made, free & open-source, @font-face ready fonts. It’s not always about the money, sometimes it’s also about making a contribution to the society, in this case, the design community. This movement is also supported by Ellen Lupton. You can find her explanation and more links here. The branding for Julian by Jordan Gray gives a good idea of the possible variety of applications of a restaurant identity. Let Me GOOGLE That For You.. Comments Off on Let Me GOOGLE That For You..
For those people that find it more convenient to bother you rather than google it themselves.